Deepak Atyam and Alex Finch of Tri-D Dynamics. We are continuing our effort to highlight undergraduate students at the Jacobs School of Engineering with James Natanauan. 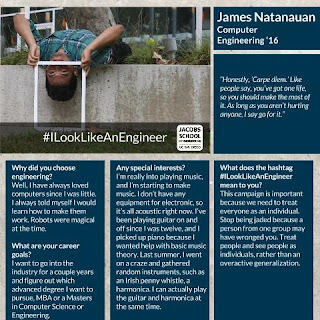 James is a computer engineering student and president of the Triton Engineering Student Council (TESC) for the second year in a row. Meet James, a senior with a passion for computers also for making his own music. I have always loved computers. I told myself I would learn how to make them work. I want to go into industry first, and based on the internships I’ve had, I really like the management aspect of the field. I would like to pursue and advanced degree, perhaps an MBA or a masters in computer science or computer engineering. “Carpe diem.” You’ve got one life, so you should make the most of it. What are three things about you that make you an individual? 1. I moved here from Hong Kong when I was 10, but I was born in the Philippines. 2. I’m really into playing music, but I’m just getting into making music. I don’t have any equipment for electronic music, but it’s all acoustic stuff right now. I’ve been playing guitar on and off since I was twelve. 3. Last summer, I bought a bunch of random instruments, such as an Irish penny whistle, a harmonica. I can actually play the guitar and harmonica at the same time. It’s really important because we generalize things so easily, and often subconsciously. I remember this one time, I was at a table eating a taco, and this guy came up to me to talk. I was quiet because I was chewing my food, when he said, “You’re so quiet. You’re such an engineer.” That’s still a negative stereotype about engineers - that we’re anti-social, and we don’t get out much. This campaign is important because we need to treat everyone as an individual. 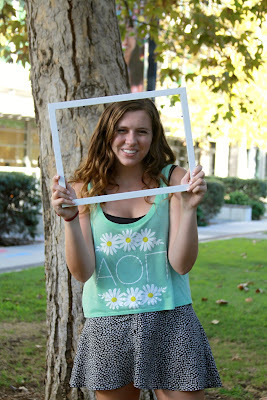 The next featured student in our campaign is a young woman who is highly involved at UC San Diego. With her sorority Alpha Omicron Pi, internship, classes and positions as Engineering Senator on A.S. Council as well as VP External of the Society of Women Engineers (SWE), she proves how engineers are not stereotypical anti-social hermits who cannot stop studying. 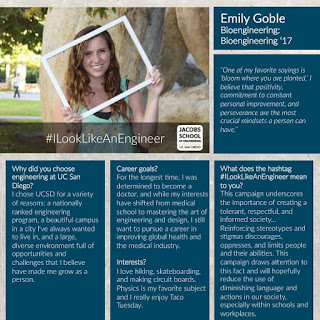 This is Emily, a junior bioengineering major at the UC San Diego Jacobs School. I chose UC San Diego for a variety of reasons: first, a nationally-ranked engineering program, a beautiful campus in a city I've always wanted to live in, and a large, diverse environment full of opportunities and challenges that I believe have already made me grow as a person. For the longest time, I was determined to become a doctor. While my interests have shifted from medical school to mastering the art of engineering and design, I still want to pursue a career in improving global health and the medical industry. 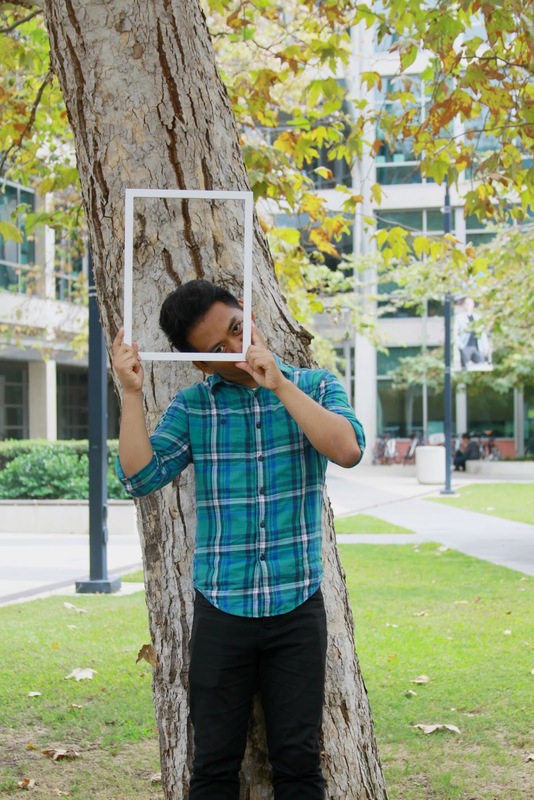 I am currently interning for a global biotechnology company and have found great joy in my work there. It is mentally stimulating, as well as personally meaningful and fulfilling. One of my favorite sayings is "bloom where you are planted." I believe that positivity, commitment to constant personal improvement, and perseverance are the most crucial mindsets a person can have. I'm pretty ordinary, but I have some unique interests. I love hiking, skateboarding and making circuit boards. Also, physics is my favorite subject and I really enjoy Taco Tuesday. This campaign underscores the importance of creating a tolerant, respectful and informed society. No one should ever be made to feel like they can't be successful in a career path because of their gender, race, appearance, sexual orientation or any other part of themselves. Reinforcing stereotypes and stigmas discourages, oppresses, and limits people and their abilities. This campaign draws attention to this fact and will hopefully reduce the use of diminishing language and actions in our society, especially in schools and workplaces. MiPosaur, a robot created by toymaker WowWee in collaboration with the UCSD Robotics group got to spend some quality time with the Real Stan Lee, creator of Spiderman and many, many other heroes from the Marvel universe. The MiPosaur is a highly intelligent robotic creature with an incredible, evolving intelligence and personality. It can sense its own surroundings and environment, and Interact with them in a unique and lifelike way. MiPosaur comes with an interactive TrackBall equipped with BeaconSense™ technology; with it, the MiPosaur can chase the trackball, play with it, "smell" it like food, go for a walk, as well as alter its moods depending on the various interactions. 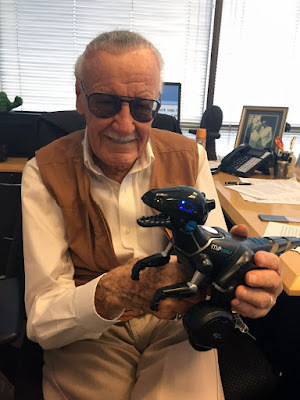 The MiPosaur is fully interactive with the WowWee MIP™ robot and a BLE enabled app, compatible with both iOS and Androidsmart devices, and features additional activities and games. A team of UC San Diego computer science students tied with seven other campuses for first place in the 2015 ACM Southern California Regional Programming Contest on Nov. 14. The tie was finally resolved based on the time it took to solve problems, with the UC San Diego team landing in fourth place, after Caltech, USC and UCLA. Fourth-ranked UC San Diego Team "Phuket" comprised of Juliati Alafate, Chicheng Zhang and Lifan Wu. Hat tip to graduate student coaches Igors Stepanovs and Yuliang Li, as well as faculty coach Michael Taylor. 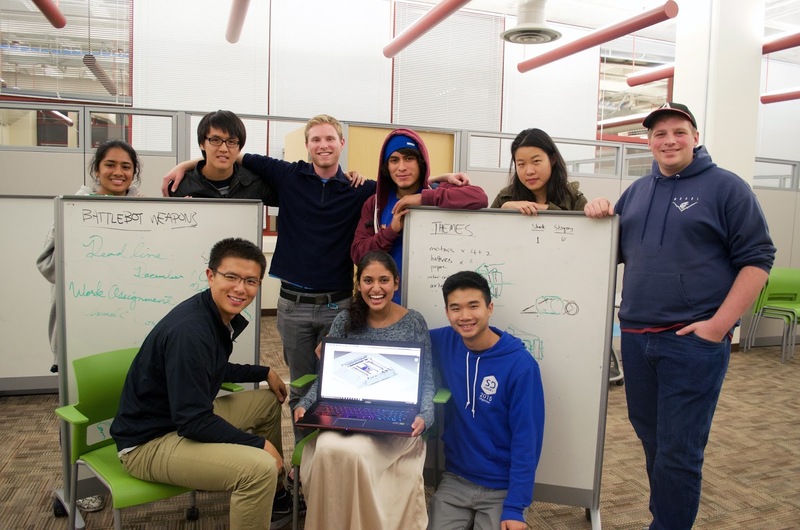 We sat down with the founders of Triton Competitive Robotics (TCR), mechanical engineering major Jeffrey Wang and Mahaela Johnson to discuss their student organization. M: Triton Competitive Robotics provides resources to students interested in building robots to enter into competitions. Students can pitch their idea for a competition to enter and then TCR will put together a team of students to work on a robot for the competition as well as provide workshops and funding. J: Our mission really is to build and strengthen the robotics community here by making sure there’s nothing stopping someone that wants to pursue a robotics project. We’re working hard to make sure everyone has access to resources that will help them - and one way to do this is by collaborating with other organizations. For example, samcad, a student org that focuses on 3D modeling, just put on a very successful SOLIDWORKS workshop for us. Q: Why did you decide to start this organization? J: I remember attending an orientation freshman year and talking with someone about the lack of robotics student orgs on campus. I’ve since discovered them (IEEE does great work, for example,) but none of them really focused on the projects I wanted to pursue. Our goal is to fill that gap. M: I was at home watching BattleBots and I thought, UCSD has an amazing engineering program and we’re more than capable of creating our own Battlebot; we should do this. Since then, the scope of our organization's interests has expanded to all robotics competitions. Q: What projects is your organization working on right now? M: We currently have two projects. One is a 3 lb autonomous fighting robot that we plan on entering into next year’s Robogames competition. Our other project is our BattleBots team which is being led by Jeffrey. Q: How can interested students get involved? J: All of our project meetings are open to the public (you can find the times/locations on Facebook or by emailing us.) Currently, all positions are filled for the two projects but as we start building we would potentially need more team members. Keep in mind that if you and some friends have a different competition you’re passionate about, we can help you compete! Interested in sponsoring or mentoring? Send an email to tcr.ucsd@gmail.com. Gladys Ornelas, a bioengineering major at the Jacobs School, has received an award for her outstanding research from the Society for the Advancement of Chicanos/Hispanics and Native Americans in Science. Ornelas works in the research group of bioengineering professor Todd Coleman and has described some of her work in the video embedded below. She was selected for the award from nearly 1,000 undergraduate and graduate students who presented at the organization's conference Oct. 29 to Nov. 3 in Washington, D.C.
Martin Arreola, who studies neuroscience at UC San Diego was also recognized. We are continuing with our #ILookLikeAnEngineer campaign with a student who continually fights stereotypes in engineering and is extremely passionate about progressing towards an equal field. 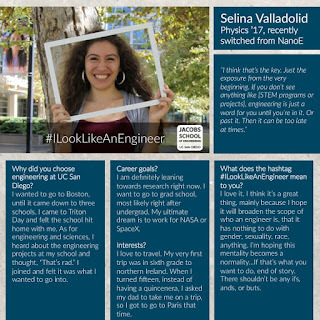 Meet Selina Valladolid, the president of the Society of Women Engineers. My family is from the area. My mom went here, my dad went here. I wanted to go to Boston, but after attending Triton Day, I was like, “I could see myself here.” It hit home with me. It fit, unlike any other campus I had visited. As for engineering and sciences, I actually took some engineering classes in high school. The engineering teacher taught my biology class, and he was always going on about the engineering projects they were doing. And I thought, “That’s rad.” I took part in the engineering club that year and then took the class. I just kind of stuck with it for all four years after that. Why did you decide to switch from nanoengineering to physics? So I realized over the summer that my passion truly lies in space and in the cosmos. 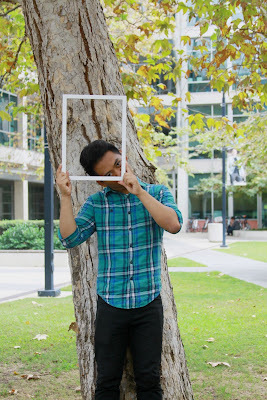 I have always loved physics and I came to the conclusion that pursuing my undergraduate degree in physics, and perhaps focusing on engineering in graduate school, would simply be the best option for me. I’m definitely leaning towards research right now. I’m set on going to graduate school, and my ultimate dream is to work for NASA or SpaceX. If there was ever a time I had the opportunity to go to Mars or the moon, I’d probably be down, but that isn’t my ultimate goal. What interests me is the stuff that we’re not going to reach in our lifetime, like the black holes, the supernovas, the star clusters. The really hard, deep outer space. I actually have a wall that I put sticky notes on. The first one is probably the most common: “Well-behaved women are never remembered in history.” I always really liked this. We have to step out of the boxes in which we’re often placed. 1. I tend to be very opinionated, especially when it comes to women and any minority underrepresented minority. I am a woman, and I am Hispanic. I have a seven year old sister, and I never want her to think that she can’t do something because she isn’t a male. 2. I see myself as very independent. 3. I love to travel, read, and play sports. My very first trip was in sixth grade to northern Ireland. When I turned fifteen, instead of having a quincenera, I asked my dad to take me on a trip, so I got to go to Paris. I love it, primarily because I remember how it started. I remember seeing all this backlash against the ad - “Get somebody that looks like an engineer,” comments read. I think the campaign is a great thing, and I hope it will teach people that being an engineer has nothing to do with gender, sexuality, race or anything. Specifically, the campaign at UC San Diego? As much as I want as many men to come into my own organization, Society of Women Engineers, and be a part of it, as we are about supporting and encouraging women. I don’t like that men don’t want to join, but I can understand why. I feel like it could be a lot worse here. I’m glad that it could be a lot worse.